Francois Scheepers is an executive wealth adviser whose focus is to provide tailored investment portfolio advice to help his clients achieve their self managed super fund (SMSF) goals. In partnership with his clients, Francois works to create a tailored investment portfolio suited to their personal situation. “Clients have worked hard for their retirement savings. My role is not to tell them what to do with their money, but to guide them through their investment decisions. We are a team working together, to achieve the same goal – a happy retirement for the client,” says Francois. Francois uses the insight and guidance provided by the Dixon Advisory Investment Committee, identifying suitable investment opportunities, to build an investment strategy for his clients. 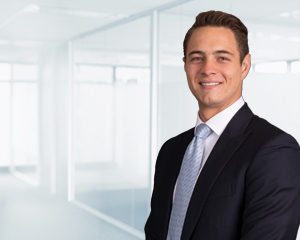 Beyond identifying investments matching his client’s needs and objectives, Francois also strives to educate his clients about the philosophy underpinning his suggested strategy. “If a client is able to understand the investment, they are able to see how it fits into the portfolio and why. This gives them comfort over their portfolio and reflects my understanding of their needs and objectives. Francois holds a Masters in both Accounting and Finance from the University of Technology, Sydney. Prior to this he completed a Bachelor of Commerce (Hons) in Investment Management from Stellenbosch University, South Africa. He also has a Diploma of Financial Planning and is accredited by the Stockbrokers Association of Australia.